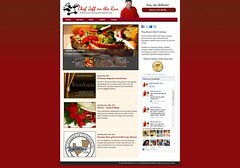 We have just launched the Chef Jeff on the Run website. Looking at all that food can make you just hungry! Jeff food is excellent! Please give his site a visit and let him know that you came!